A choice that speaks volumes. 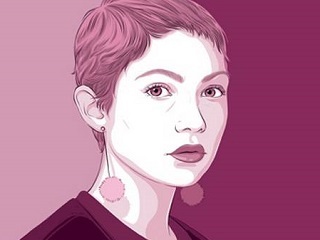 There’s a lot of good stuff in Globe and Mail advertising and marketing reporter Susan Krashinsky’s profile of Tavi Gevinson. The piece tracks the evolution of Gevinson’s Rookie magazine, the annual Yearbook print offshoots and more. FishbowlNY was struck by Gevinson’s answer to the grid question at the end. To the query ‘Person, dead of alive, she would like to have lunch with,’ the 19-year-old pointed to the late surrealist artist Joseph Cornell. It says a lot about Gevinson’s education, upbringing and world view she would choose Cornell. No artist ever led a stranger life than Cornell, the self-taught American genius prized for his disquieting shadow boxes. Legends about Cornell abound – as the shy hermit, the devoted family caretaker, the artistic innocent. But never before Utopia Parkway has he been presented for what he was: a brilliant, relentlessly serious artist whose stature has now reached monumental proportions. Cornell was haunted by dreams and visions, yet the site of his imaginings couldn’t have been more ordinary: a small house he shared with his mother and invalid brother at 3708 Utopia Parkway in Flushing. Gevinson will be on the road this week to promote the release of Rookie Yearbook Four, appearing with various site contributors in Seattle Oct. 28, San Francisco Oct. 30, Los Angeles Oct. 31 and Portland Nov. 1. Skylight Books and Gevinson are encouraging attendees at the L.A. event to show up in costume; maybe some enterprising dad can take a shot at dressing up as Cornell.